Another van has been broken into in Lurgan and £700 worth of tools stolen. Police said the incident happened last Wednesday October 17 between 2pm and 3pm. It happened at the Lough Road car park beside Friar Tucks. 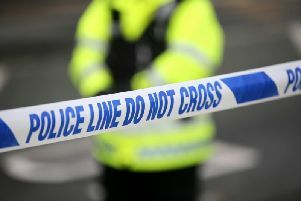 Police said a red van had its door forced over and a drill worth £700 stolen. A PSNI spokesperson said: “If you saw any suspicious activity in the area, please call us on 101. The reference number is 781 of 17/10/18. “This was another attack on a hard working member of the community which will impact directly on his business.